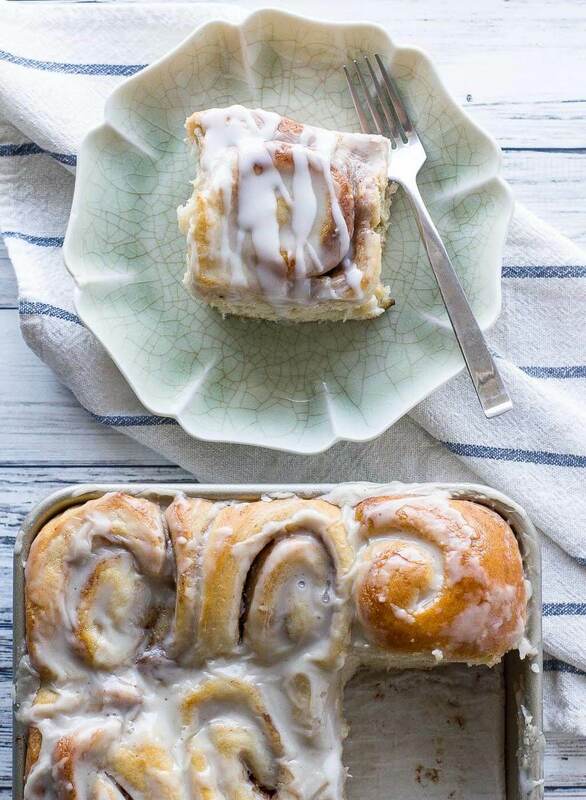 Light, tender and fluffy, with a gooey and buttery cinnamon center…Is there any better indulgence with your morning coffee? 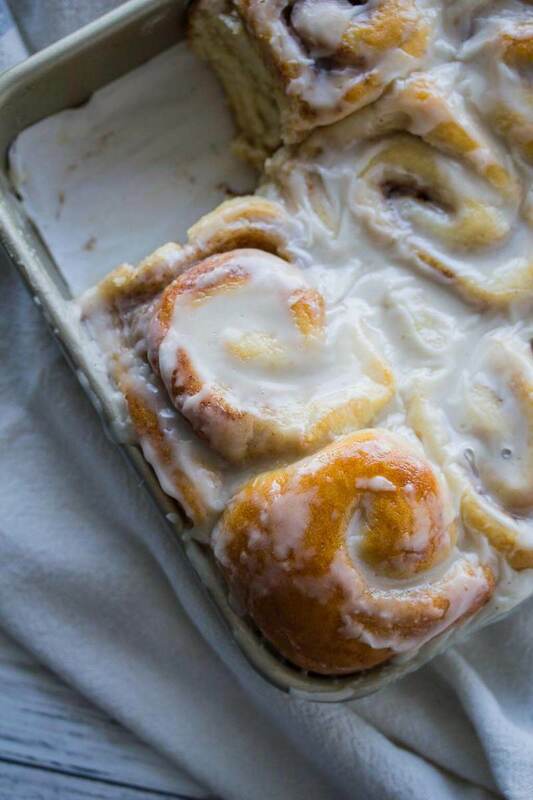 These vegan cinnamon buns are my new obsession (and my new downfall!). Only 10 ingredients, they are easy to make and so satisfying. The secret to perfectly fluffy, buttery cinnamon rolls is to allow them to rise twice, first in the bowl and then again after the rolls have been formed. If you have the patience to let the dough work it’s magic, you will reap the rewards. Rest the dough. Place the dough ball in an oiled bowl, cover with plastic wrap and allow to rise for 1 ½-2 hours at room temperature. Form the rolls. After the dough is chilled, turn it out onto a floured surface and roll in to a 16” x 10” rectangle. The dough will be about ¼” thick. Brush ½ the melted butter onto the dough. Combine the brown sugar, cinnamon and sea salt in a bowl and then sprinkle generously onto the dough, covering the whole surface. Drizzle the rest of the melted butter on top. Starting on the long side of the dough, roll the dough into a tight coil. Cut the roll into 9 equal pieces about 2” thick each. Place the rolls into a 9 x 13 baking dish and cover with plastic. Allow to rise for 1 hour at room temp. Bake the rolls. Heat the oven to 375 F. Place the rolls in the oven and bake for 20-30 minutes. They should be golden and fluffy and the sugar should be bubbling up around the edges. Remove from the oven when ready. Hi there! These look like the gooey cinnamon rolls I adore. I intend to try them out, but wondering where I’ll most likely find 00 flour. Is there a brand of vegan butter you can recommend? Thanks for any info. Hi Anna! You can just use regular ap flour with no problems, it’s just that the 00 flour is extra fine and gives a nice tender texture. I like to use Earth Balance for the vegan butter. Thanks for reaching out! 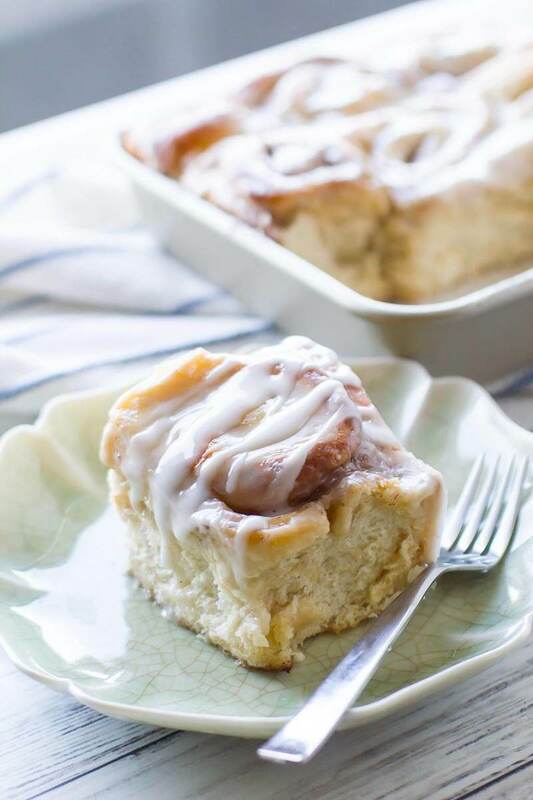 Best cinnamon roll recipe I have ever tried.The buns are so soft and fluffy, absolutely delicious. Thank you very much for sharing. My go to recipe for any sweet buns. Thank for the comment! I’m glad you enjoy it!